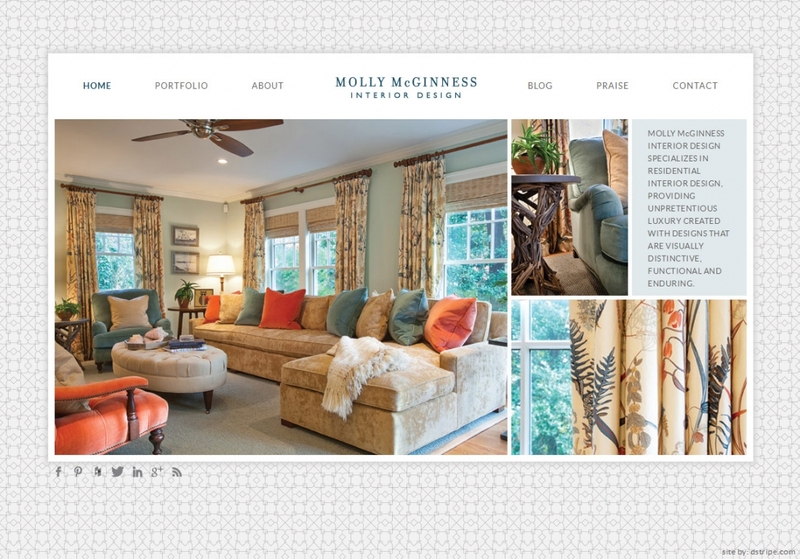 Updating the color palette, we rebuilt Molly’s site with new technology compatible with all devices. A geometric grey background pattern is professional and accessible. 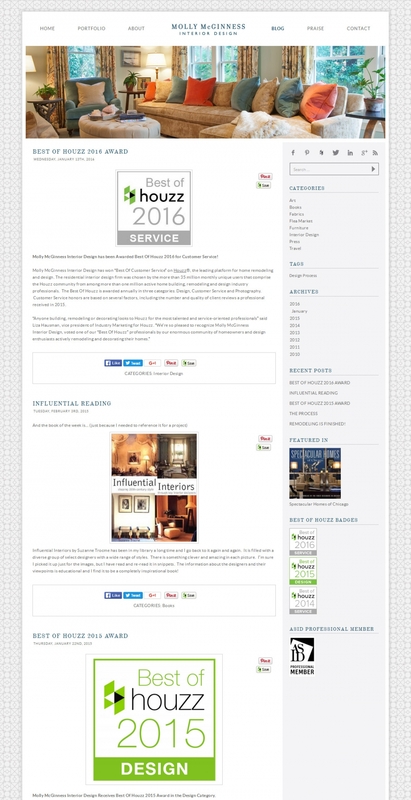 An assortment of fonts adds interest throughout the site. Composited images group together Molly’s bright and brilliant work to show different angles of the same room or include ever so important textures and close-ups. We transferred her blog posts over, so everything is all in one place. 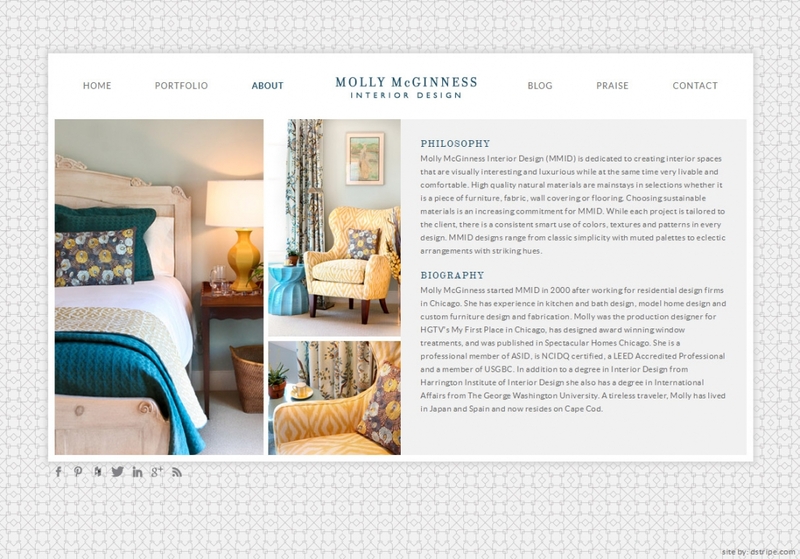 Now she can keep blogging about her accolades and interior design expertise. Users can share each post with any social media they choose. 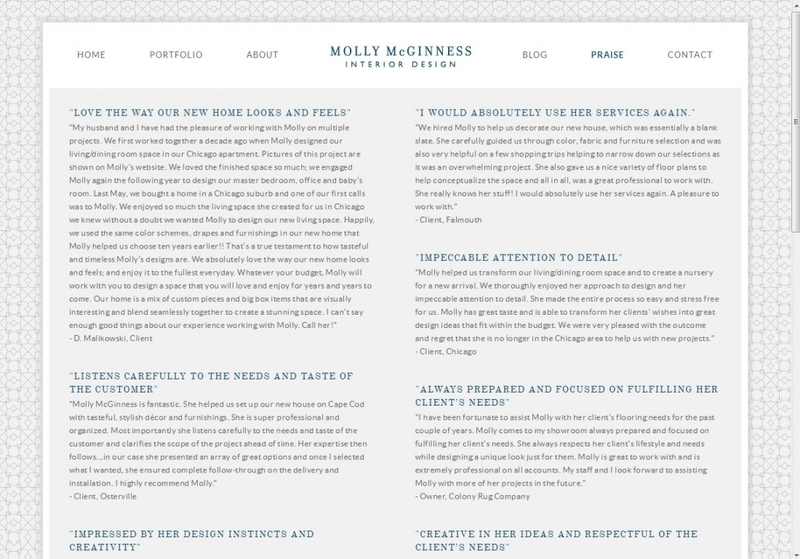 The praise page emphasizes a snippet of each testimonial so readers can easily see the highlights. 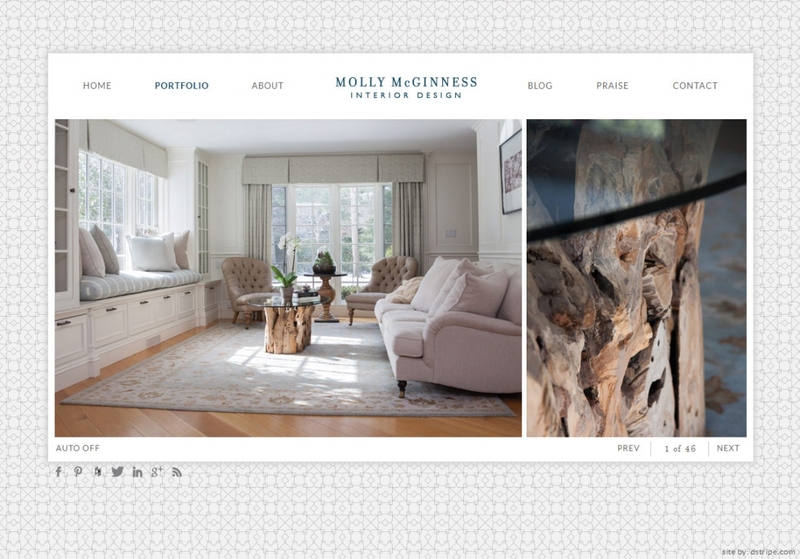 Working with Deb to create my website was easier than I anticipated. Although we live on opposite coasts we communicated by email and phone and she understood exactly what I needed. 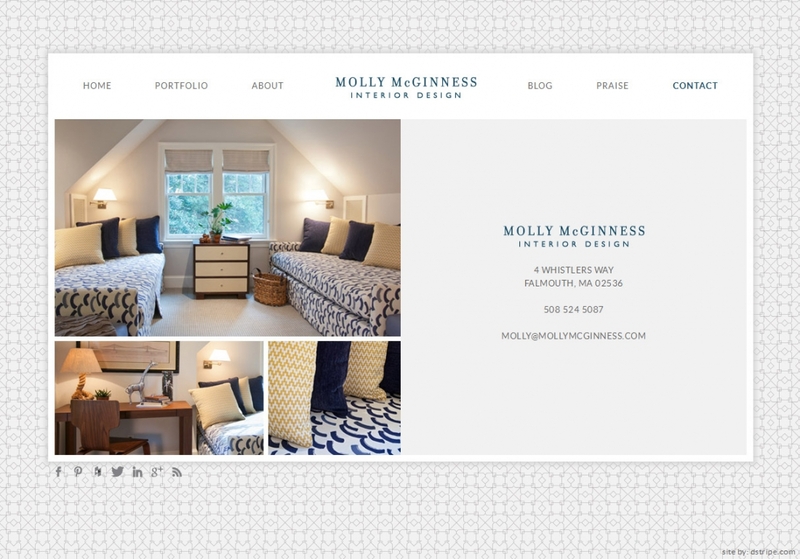 She created a professional and polished site and gave great insight to the content I should provide. I constantly receive positive comments about the website from potential clients and other trade professionals. The website provides an anchor for my brand and sends the right message to my clients.